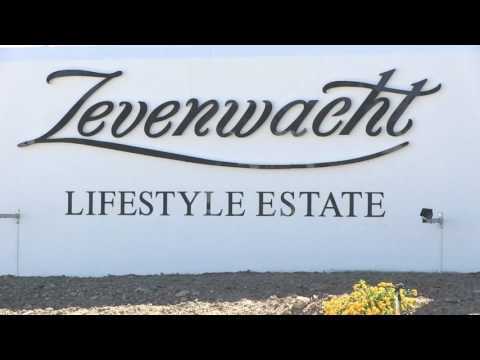 Zevenwacht Lifestyle Estate, in conjunction with the renowned Zevenwacht Wine Estate, now introduces unique retirement living including Lifestyle Homes, Retirement Apartments and a health Care Centre with Assisted Living Suites. The estate is designed for individuals, 50-years-and-over. Now is the time to come and enjoy your golden years within this 4-tier, 24-hour security estate. This estate is perfectly located near numerous close-by amenities like golf courses, hospital, shopping centres, wine estates and many more to shorten your days with panoramic views of False Bay and Table Mountain. A loyalty program comes standard for all residents within the Lifestyle Estate to enjoy various special discounts from the world-class wine estate and its amenities on offer such as the hotel, cottages, spa, cellar, restaurant, pool, tennis courts, walking\jogging trails. Discounted accommodation for your loved ones on this prestigious Wine Estate is now a reality. Your life begins at 50. Zevenwacht Lifestyle Homes were designed to give residents the feeling of independence and freedom, but at the same time having a ‘guardian angel’ watching over them for that extra sense of reassurance and calmness. Zevenwacht Lifestyle Estate consists of 99 spacious freestanding Lifestyle Homes that offer top-quality finishes with the convenience of being pet friendly. (T’s & C’s apply) This estate offers a clubhouse with a library and fireplace that walks out on a wooden deck to enjoy time with family and friends. Standard services include Call4Care, 5 Days Recuperative Care at the Care Centre, weekly clinic services and a dedicated Management Agent together with a list of additional services such as meals at the Care Centre at additional cost (Pre-bookings). Welcome to the retirement you have earned. Zevenwacht Lifestyle Estate offers 54 Retirement Apartments ideally positioned around the Care Centre with the reassurance of care always close-by. The apartments are well designed with practicality and convenience in mind. These apartments offer you the option to choose between a 1-bedroom apartment and a bedsitter. The well balanced finishes and interior reassures the feeling of independent lifestyle living. Standard services include Call4Care, 5 days Recuperative Care at the Care Centre, weekly clinic services, a dedicated Management Agent together with weekly housekeeping, linen and laundry services are also included in the standard monthly levy. 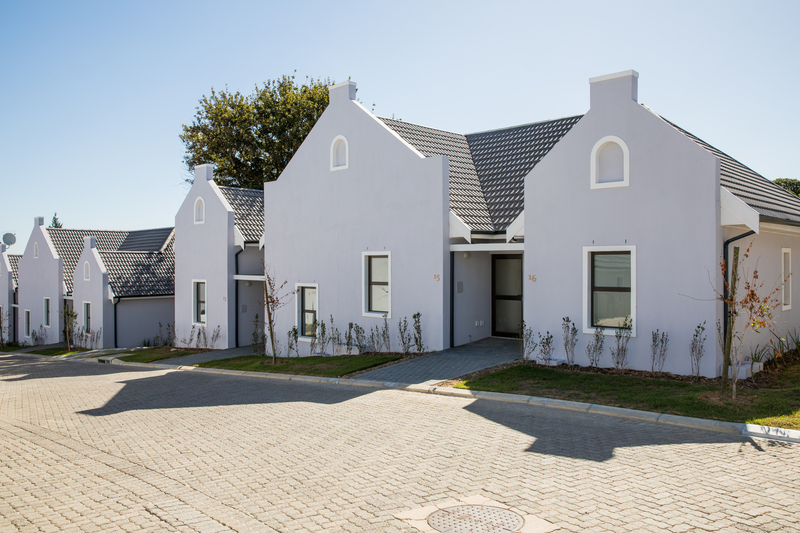 Zevenwacht Lifestyle Estate offers 13 Assisted Living Suites situated within the Care Centre and offers spacious furnished rooms, with an en-suite and direct access to all medical facilities within the Care Centre. This includes all daily meals, medical checks, carers on duty, weekly housekeeping, linen and laundry services. The Care Centre has a welcoming design to promote interaction between residents by means of stylish lounges, dining areas and braai room. Zevenwacht Lifestyle Estate offers 5 Frail Care Rooms, each with 2 beds, and offers 24/7 care by trained staff. This includes all daily meals, medical checks, weekly housekeeping, linen and laundry services. Admission to the Frail Care Rooms is subject to a confidential vetting process whereby each Resident’s or External Patient’s medical condition will be carefully evaluated. Cost of high-level care will be determined by a clinical assessment and hours of nursing care required by the individual. Patients admitted on medium-level care may have to be changed to high-level care if their health status changes. Zevenwacht Lifestyle Estate, in conjunction with Medwell SA, brings you world-class healthcare, literally right at your doorstep. With over 20 years’ experience in caring for people, you can rest assured that you are in good and capable hands. Medwell SA specialises in providing managed home health care services as an alternative to long term hospitalisation and care in specialised care facilities. Our services include managed care at home, post-hospitalisation and discharge from rehabilitation facilities. Our services are rendered to all age groups including the elderly that have become frail. Our aim is to provide patient centred care with an emphasis on the clinical needs and requirements as well as the personal needs of the patient and family involved. 10% discount on wine purchases from the tasting centre. Complimentary wine tasting (limited to 4 pax). 10% discount on meals in the restaurant and picnic baskets. 10% discount on accommodation (Country Inn & Cottages). Discount on the conference facilities. 10% discount on full day or evening spa at Bakwena Spa at Zevenwacht. (Not applicable to special offers, half-day packages, single treatments or products T’s & C’s apply). Preferential purchasing opportunities for newly released wines. The Care Centre has a welcoming design to promote interaction between residents by means of stylish lounges, dining areas and braai room. Client focused approach through superior service levels which exceed client expectations. string(6791) "Zevenwacht Lifestyle Estate, in conjunction with the renowned Zevenwacht Wine Estate, now introduces unique retirement living including Lifestyle Homes, Retirement Apartments and a health Care Centre with Assisted Living Suites. The estate is designed for individuals, 50-years-and-over. Now is the time to come and enjoy your golden years within this 4-tier, 24-hour security estate. This estate is perfectly located near numerous close-by amenities like golf courses, hospital, shopping centres, wine estates and many more to shorten your days with panoramic views of False Bay and Table Mountain. A loyalty program comes standard for all residents within the Lifestyle Estate to enjoy various special discounts from the world-class wine estate and its amenities on offer such as the hotel, cottages, spa, cellar, restaurant, pool, tennis courts, walking\jogging trails. Discounted accommodation for your loved ones on this prestigious Wine Estate is now a reality. Lifestyle Homes Two & Three Bedroom Lifestyle Homes Your life begins at 50. Zevenwacht Lifestyle Homes were designed to give residents the feeling of independence and freedom, but at the same time having a ‘guardian angel’ watching over them for that extra sense of reassurance and calmness. 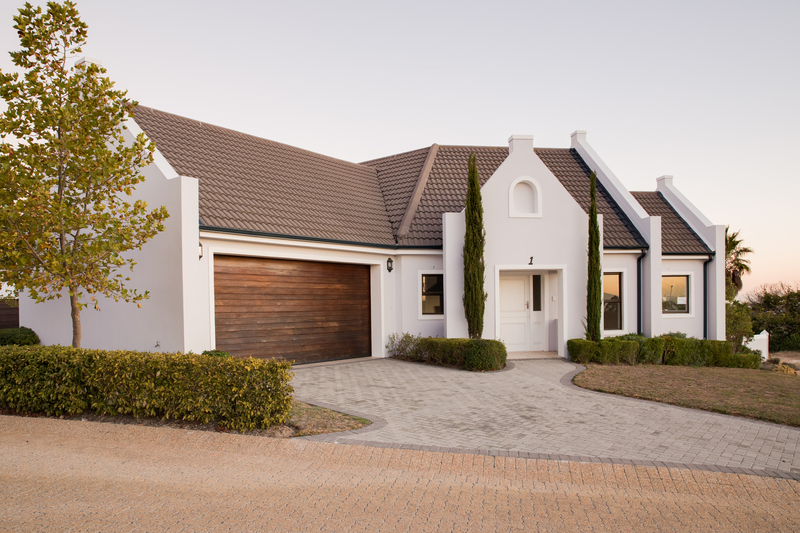 Zevenwacht Lifestyle Estate consists of 99 spacious freestanding Lifestyle Homes that offer top-quality finishes with the convenience of being pet friendly. (T’s & C’s apply) This estate offers a clubhouse with a library and fireplace that walks out on a wooden deck to enjoy time with family and friends. Standard services include Call4Care, 5 Days Recuperative Care at the Care Centre, weekly clinic services and a dedicated Management Agent together with a list of additional services such as meals at the Care Centre at additional cost (Pre-bookings). Retirement Apartments One Bedroom and Bedsitter Retirement Apartments Welcome to the retirement you have earned. Zevenwacht Lifestyle Estate offers 54 Retirement Apartments ideally positioned around the Care Centre with the reassurance of care always close-by. The apartments are well designed with practicality and convenience in mind. These apartments offer you the option to choose between a 1-bedroom apartment and a bedsitter. The well balanced finishes and interior reassures the feeling of independent lifestyle living. Standard services include Call4Care, 5 days Recuperative Care at the Care Centre, weekly clinic services, a dedicated Management Agent together with weekly housekeeping, linen and laundry services are also included in the standard monthly levy. Care Centre and Assisted Living Suites Assisted Living Suites With age comes exclusivity, such should be your golden years. Zevenwacht Lifestyle Estate offers 13 Assisted Living Suites situated within the Care Centre and offers spacious furnished rooms, with an en-suite and direct access to all medical facilities within the Care Centre. This includes all daily meals, medical checks, carers on duty, weekly housekeeping, linen and laundry services. The Care Centre has a welcoming design to promote interaction between residents by means of stylish lounges, dining areas and braai room. Frail Care Rooms With age comes exclusivity, such should be your golden years. 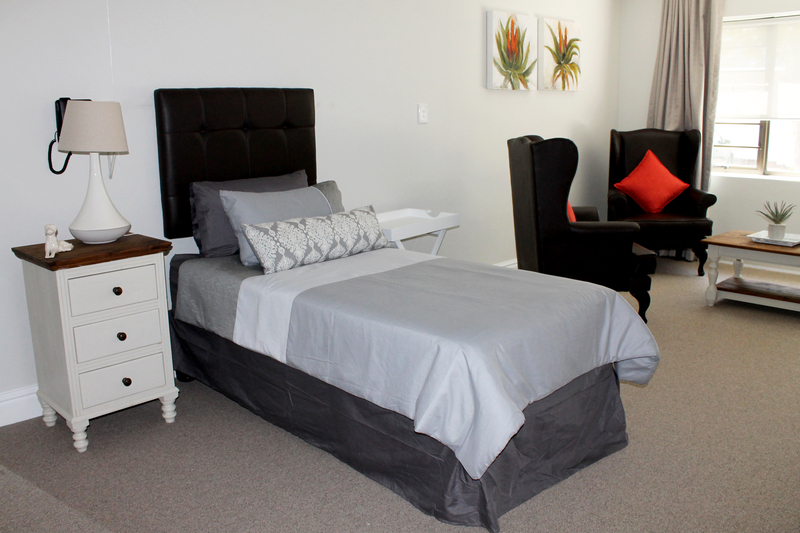 Zevenwacht Lifestyle Estate offers 5 Frail Care Rooms, each with 2 beds,  and offers 24/7 care by trained staff. This includes all daily meals, medical checks, weekly housekeeping, linen and laundry services. Admission to the Frail Care Rooms is subject to a confidential vetting process whereby each Resident’s or External Patient’s medical condition will be carefully evaluated. Cost of high-level care will be determined by a clinical assessment and hours of nursing care required by the individual. Patients admitted on medium-level care may have to be changed to high-level care if their health status changes. Zevenwacht Lifestyle Estate, in conjunction with Medwell SA, brings you world-class healthcare, literally right at your doorstep. With over 20 years’ experience in caring for people, you can rest assured that you are in good and capable hands. Medwell SA Medwell SA specialises in providing managed home health care services as an alternative to long term hospitalisation and care in specialised care facilities. Our services include managed care at home, post-hospitalisation and discharge from rehabilitation facilities. Our services are rendered to all age groups including the elderly that have become frail. Our aim is to provide patient centred care with an emphasis on the clinical needs and requirements as well as the personal needs of the patient and family involved. Services Post-hospitalisation care – Oncology care – Palliative care – Wound care – Catheter care – Stoma care – Tracheostomy care – Elderly/frail care – Rehabilitation care – Home ventilation – Oxygen therapy – Equipment hire/sales – Single nursing procedures – Social work consultations – Comprehensive physiotherapy at home – Dentistry at home – Frail Care Facility management – Implementation of Holistic Health Care services in retirement/lifestyle villages Patronage Card for Zevenwacht Wine Estate for duration of your stay Being a patron of Zevenwacht offers you the following benefits: 10% discount on wine purchases from the tasting centre. Complimentary wine tasting (limited to 4 pax). 10% discount on meals in the restaurant and picnic baskets. 10% discount on accommodation (Country Inn & Cottages). Discount on the conference facilities. 10% discount on full day or evening spa at Bakwena Spa at Zevenwacht. (Not applicable to special offers, half-day packages, single treatments or products T’s & C’s apply). Preferential purchasing opportunities for newly released wines. Care Centre The Care Centre has a welcoming design to promote interaction between residents by means of stylish lounges, dining areas and braai room. Estate Security 24-hour state-of-the-art security solution Security gates with electric fencing Client focused approach through superior service levels which exceed client expectations. Embracing the latest technology has made this one of the key management principles on which the company is being built for the future Bloodhound Patrol Management System: to effectively monitor our patrol accuracy We are acutely aware that this tool provides us all with peace of mind that the security officers are actively patrolling the premises they are looking after (Real-time GPS tracking of roaming guards) Top Performer from Bloodhound Technologies – Ranking number 1 amongst all Bloodhound clients nationally"
string(69) "Clubhouse with Lounge, Bar & Library facilities. | Care Centre Lounge"
string(32) "Lifestyle Homes only (T's & C's)"
string(79) "Concierge service (booking of taxis) available at the Care Centre and Clubhouse"
string(92) "10% discount offered via Patronage Card at restaurant in Zevenwacht Wine Estate to residents"
string(61) "Guards at Entrances | Roaming Guard | Electric Fencing | CCTV"
string(80) "Carers on duty 24 hours a day | Weekly Clinic Services | Daily well-being checks"
string(117) "Weekly Laundry Service available to Apartments and Suites (included in Levy) | Additional Service on request to Homes"
string(79) "Daily newspapers and periodicals available at Clubhouse and Care Centre Lounges"
string(6844) "Zevenwacht Lifestyle Estate, in conjunction with the renowned Zevenwacht Wine Estate, now introduces unique retirement living including Lifestyle Homes, Retirement Apartments and a health Care Centre with Assisted Living Suites. The estate is designed for individuals, 50-years-and-over. Now is the time to come and enjoy your golden years within this 4-tier, 24-hour security estate. 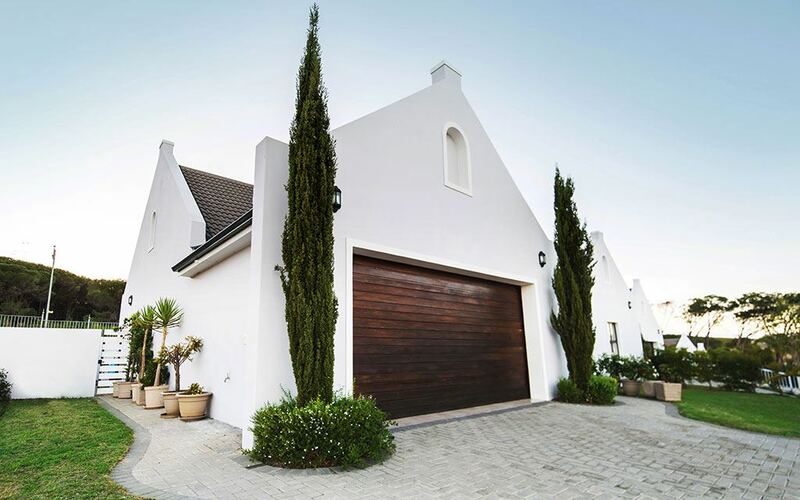 This estate is perfectly located near numerous close-by amenities like golf courses, hospital, shopping centres, wine estates and many more to shorten your days with panoramic views of False Bay and Table Mountain. A loyalty program comes standard for all residents within the Lifestyle Estate to enjoy various special discounts from the world-class wine estate and its amenities on offer such as the hotel, cottages, spa, cellar, restaurant, pool, tennis courts, walking\jogging trails. Discounted accommodation for your loved ones on this prestigious Wine Estate is now a reality. Under the Vine – Lifestyle Homes Two & Three Bedroom Lifestyle Homes Your life begins at 50. 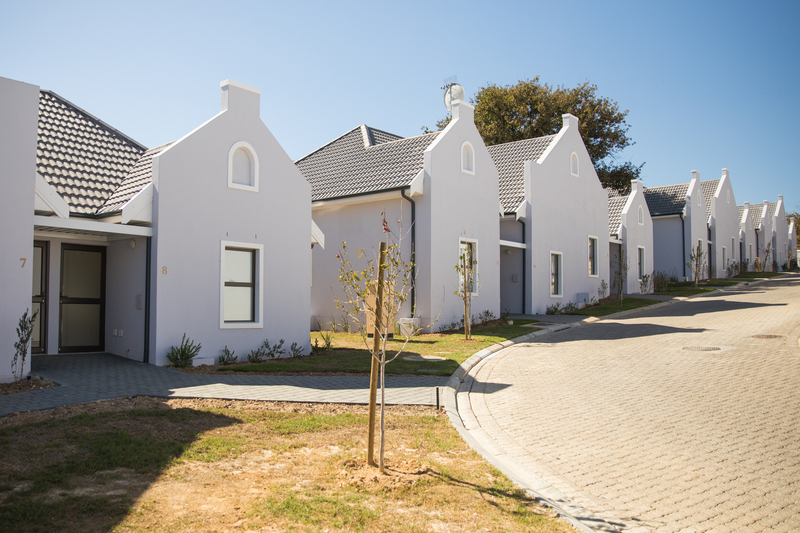 Under the Vine, part of Zevenwacht Lifestyle Estate, was designed to give residents the feeling of independence and freedom, but at the same time having a ‘guardian angel’ watching over them for that extra sense of reassurance and calmness. Under the Vine consists of 99 spacious freestanding Lifestyle Homes that offer top-quality finishes with the convenience of being pet friendly. (T’s & C’s apply) This estate offers a clubhouse with a library and fireplace that walks out on a wooden deck to enjoy time with family and friends. Standard services include Call4Care, 5 Days Recuperative Care at the Care Centre, weekly clinic services and a dedicated Management Agent together with a list of additional services such as meals at the Care Centre at additional cost (Pre-bookings). Merlot Village – Retirement Apartments One Bedroom and Bedsitter Retirement Apartments Welcome to the retirement you have earned. Merlot Village offers 54 Retirement Apartments ideally positioned around the Care Centre with the reassurance of care always close-by. The apartments are well designed with practicality and convenience in mind. These apartments offer you the option to choose between a 1-bedroom apartment and a bedsitter. The well balanced finishes and interior reassures the feeling of independent lifestyle living. Standard services include Call4Care, 5 days Recuperative Care at the Care Centre, weekly clinic services, a dedicated Management Agent together with weekly housekeeping, linen and laundry services are also included in the standard monthly levy. Vine Manor – Care Centre and Assisted Living Suites Assisted Living Suites With age comes exclusivity, such should be your golden years. Vine Manor offers 13 Assisted Living Suites situated within the Care Centre and offers spacious furnished rooms, with an en-suite and direct access to all medical facilities within the Care Centre. This includes all daily meals, medical checks, carers on duty, weekly housekeeping, linen and laundry services. The Care Centre has a welcoming design to promote interaction between residents by means of stylish lounges, dining areas and braai room. Frail Care Rooms With age comes exclusivity, such should be your golden years. Vine Manor offers 5 Frail Care Rooms, each with 2 beds,  and offers 24/7 care by trained staff. This includes all daily meals, medical checks, weekly housekeeping, linen and laundry services. Admission to the Frail Care Rooms is subject to a confidential vetting process whereby each Resident’s or External Patient’s medical condition will be carefully evaluated. Cost of high-level care will be determined by a clinical assessment and hours of nursing care required by the individual. Patients admitted on medium-level care may have to be changed to high-level care if their health status changes. Zevenwacht Lifestyle Estate, in conjunction with Medwell SA, brings you world-class healthcare, literally right at your doorstep. With over 20 years’ experience in caring for people, you can rest assured that you are in good and capable hands. Medwell SA Medwell SA specialises in providing managed home health care services as an alternative to long term hospitalisation and care in specialised care facilities. Our services include managed care at home, post-hospitalisation and discharge from rehabilitation facilities. Our services are rendered to all age groups including the elderly that have become frail. Our aim is to provide patient centred care with an emphasis on the clinical needs and requirements as well as the personal needs of the patient and family involved. Services Post-hospitalisation care – Oncology care – Palliative care – Wound care – Catheter care – Stoma care – Tracheostomy care – Elderly/frail care – Rehabilitation care – Home ventilation – Oxygen therapy – Equipment hire/sales – Alzheimer’s care – Single nursing procedures – Social work consultations – Comprehensive physiotherapy at home – Dentistry at home – Frail Care Facility management – Implementation of Holistic Health Care services in retirement/lifestyle villages Patronage Card for Zevenwacht Wine Estate for duration of your stay Being a patron of Zevenwacht offers you the following benefits: 10% discount on wine purchases from the tasting centre. Complimentary wine tasting (limited to 4 pax). 10% discount on meals in the restaurant and picnic baskets. 10% discount on accommodation (Country Inn & Cottages). Discount on the conference facilities. 10% discount on full day or evening spa at Bakwena Spa at Zevenwacht. (Not applicable to special offers, half-day packages, single treatments or products T’s & C’s apply). Preferential purchasing opportunities for newly released wines. Care Centre The Care Centre has a welcoming design to promote interaction between residents by means of stylish lounges, dining areas and braai room. Estate Security 24-hour state-of-the-art security solution Security gates with electric fencing Client focused approach through superior service levels which exceed client expectations. Embracing the latest technology has made this one of the key management principles on which the company is being built for the future Bloodhound Patrol Management System: to effectively monitor our patrol accuracy We are acutely aware that this tool provides us all with peace of mind that the security officers are actively patrolling the premises they are looking after (Real-time GPS tracking of roaming guards) Top Performer from Bloodhound Technologies – Ranking number 1 amongst all Bloodhound clients nationally"